Inspiring or taking up space? Books that is. How many do you currently have on your shelf and how many do you actually use? 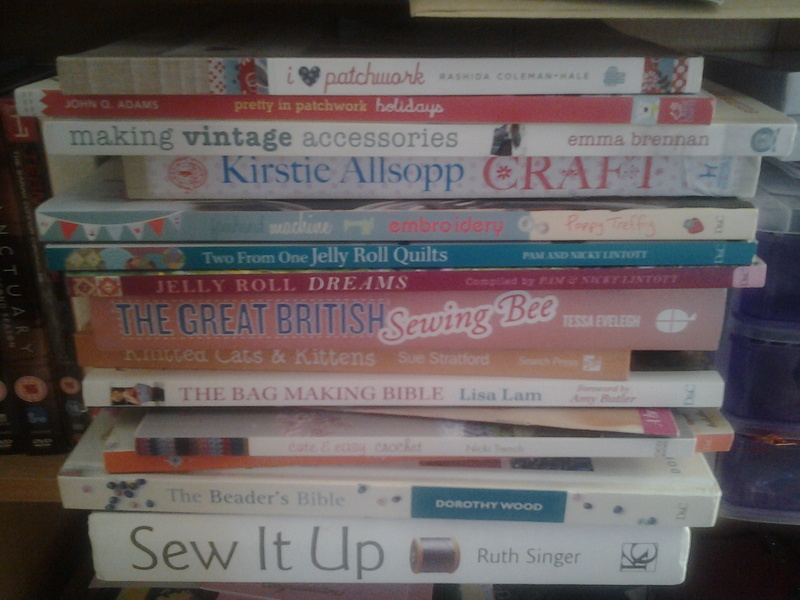 Tidying up the flat this week I attempted to put all my craft related books in one place. Well.. almost! There are some good books in there which I’ve been recommended or gone oooh over. Some that was given to me and some that were complete impulse buys… knitted cats and kittens for example. I can only knit a basic ruffle scarf so why did I feel the need to have it?! 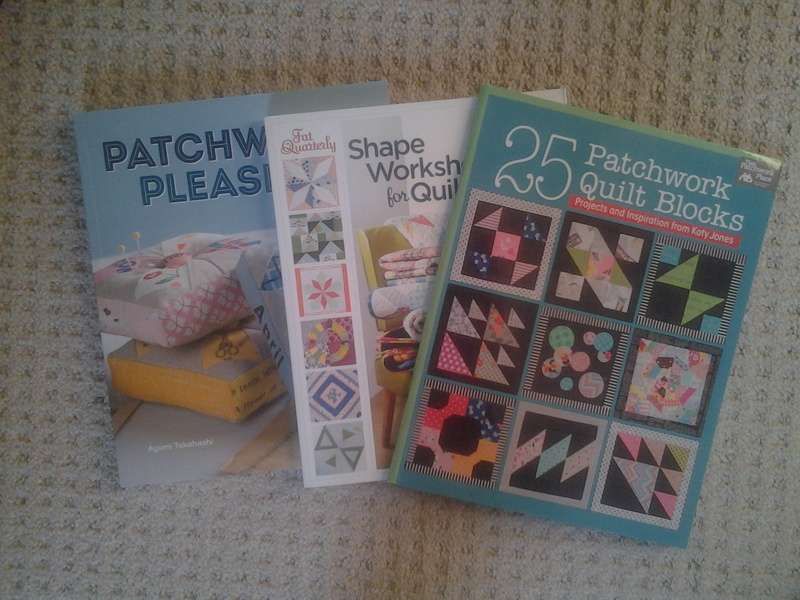 The patchwork ones are probably what I’ve used the most. 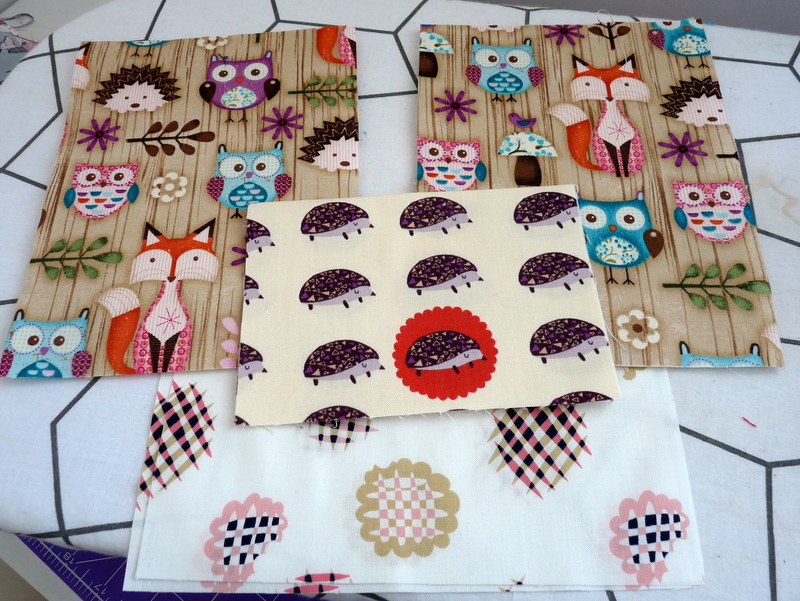 Absolutely love the fresh take on designs from Katy Jones. 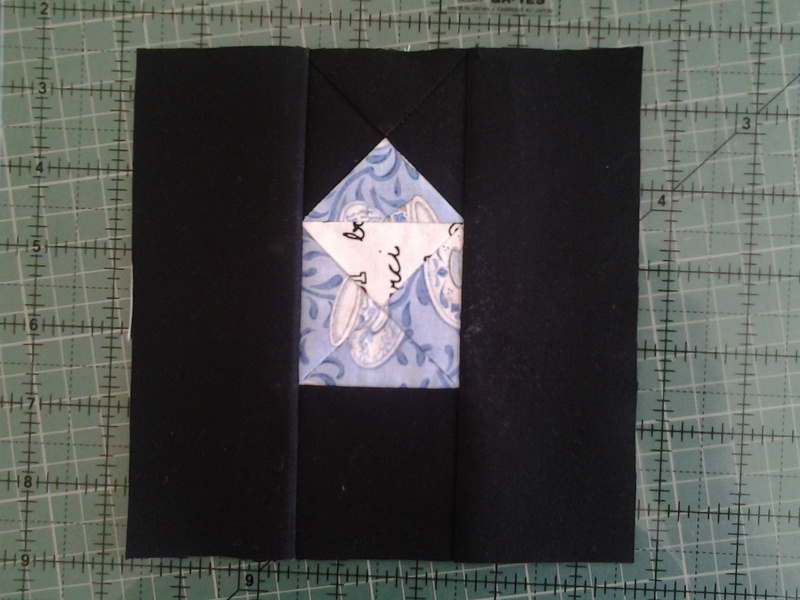 This block for example I made as part of a birthday present a couple weeks ago. Don’t you just love it? Apologies for the rubbish photo my camera was hiding at the time. 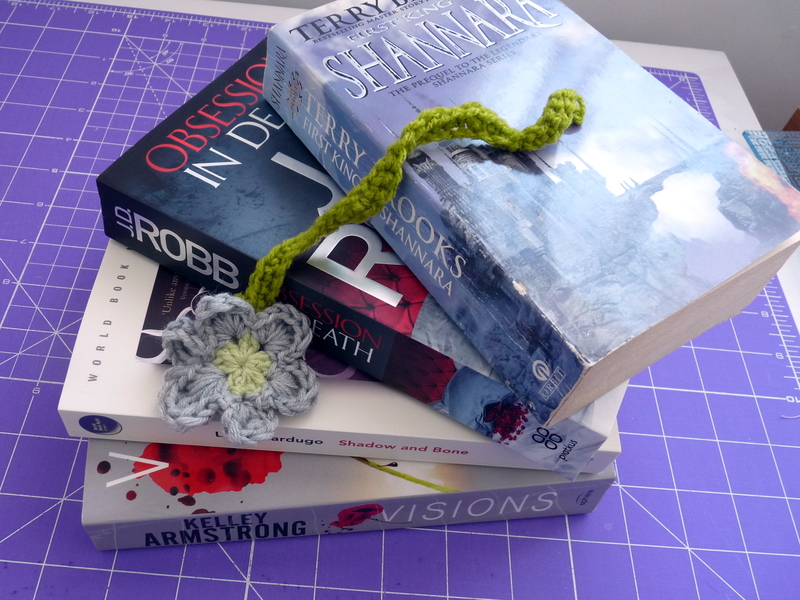 I think my aim over the summer is to use these books more and do some more projects for me! Oh and finish my nephew’s quilted playmat (start even). 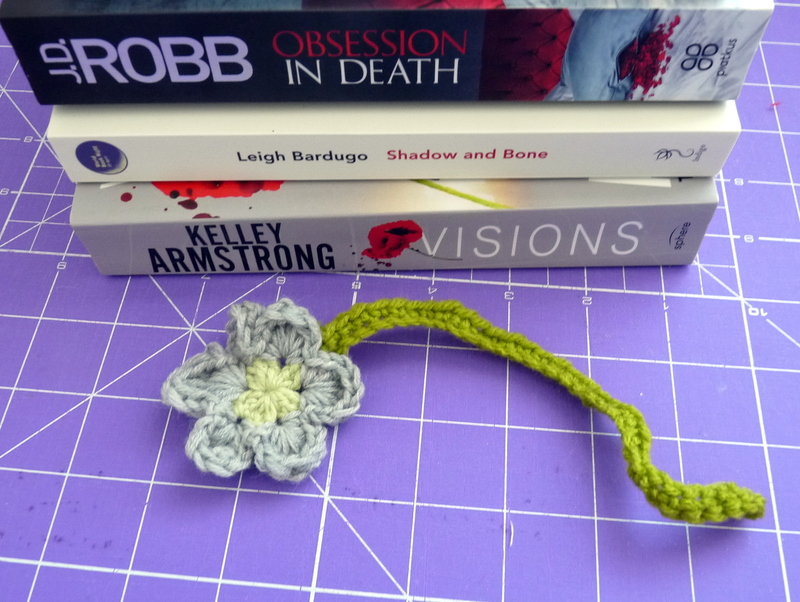 There’s a couple of projects on the go already from these books and some ones I randomly made my own design up. If you follow me on instagram you might even see sneaky peeks!